ASPire to GO, BE and DO! 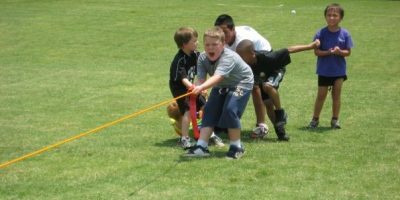 Keep your kids healthy, active, and engaged over the summer. We get kids moving as we explore the great outdoors. 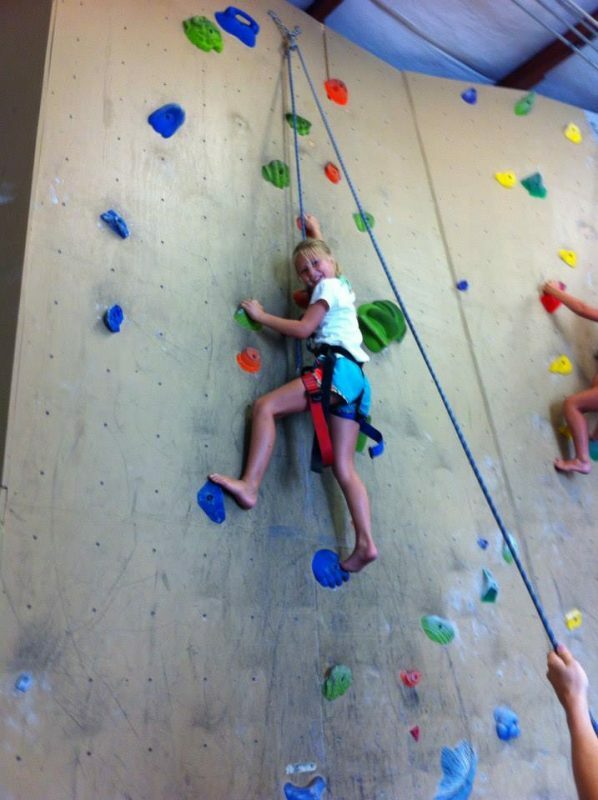 Each week all campers participate in half-day adventures, exciting activities off-site & on-site. White Water Falls – tallest water fall east of the Rockies! EVERY WEEK is a New Adventure! 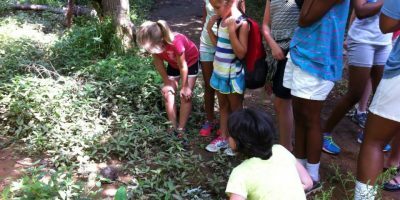 Weekly tuition: $175 per student includes most field trips and activities scheduled for each week. Parents will be notified in advance of any additional costs. Siblings: additional campers receive a 5% discount on tuition. Pay in Full: families paying this summer tuition in full before June 8th will receive a 5% discount on tuition. 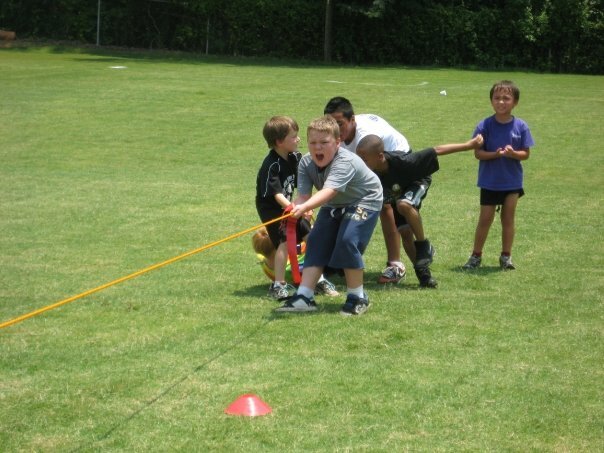 ASPire Summer Camp keeps your kids healthy, active, and engaged over the summer. 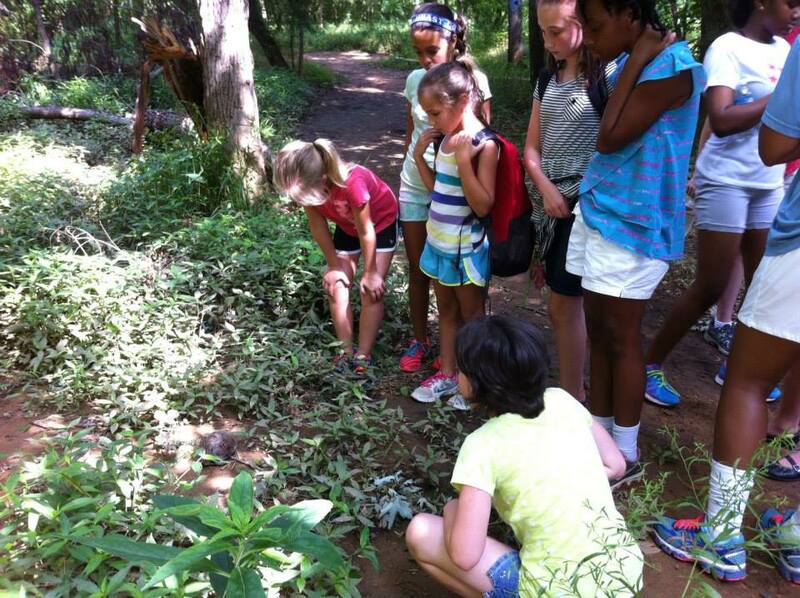 After School Plus offers a wide variety of summer camp experiences for students K5—8th grade. 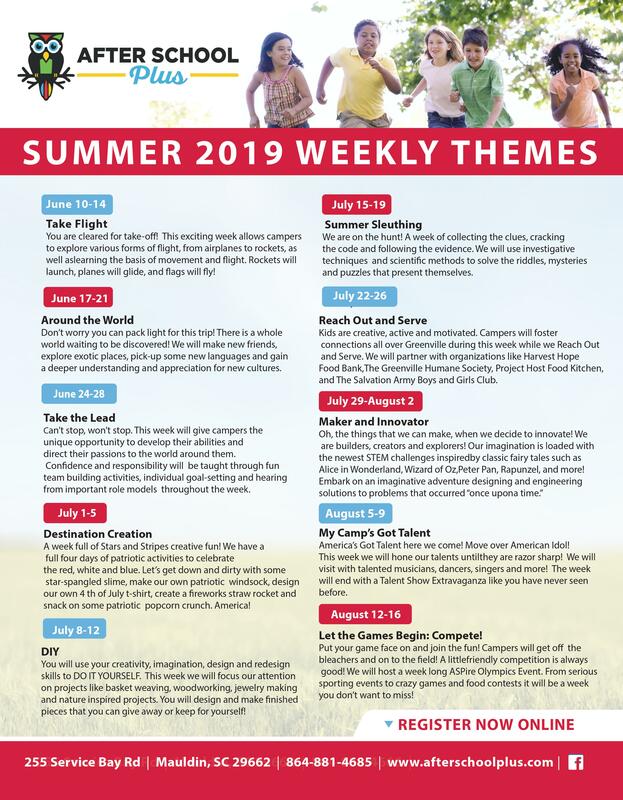 Our summer program mixes the best of summer camp fun & ongoing education so your child has a great time learning, venturing into new territory, and making friends! With over 10 years of after school experience in the Mauldin and Simpsonville area, After School Plus is ready to help your child and family get ahead during the summer.